Yesterday evening after I got a call from Jeremiah, we decided to head over to the DIGG party in San Francisco, which was held to launch a new series of lifestyle online video shows. The event was quite successful, upcoming.org had over 300 signed up and most of them seemed to have showed up. Quite an interesting bunch of people, who all had the common objective of having a good time — and a good time they had. I had a chance to meet web2.0 party-goers Thomas Hawk (featured in ScobleShow’s 1st Episode), Gabe Rivera (TechMeme), Daniela Barbosa (Factiva), Jeremy Pepper (the PR2.0 guy), Kevin Burton (TailRank) and James Gross (Federated Media). But I digress, the event was to launch Digg’s new series of lifestyle online video shows. Kind of like MTV meets MySpace, although they apparently thought not. Digg is a news website with an emphasis on technology and science articles. It combines social bookmarking, blogging, and syndication with a form of non-hierarchical, democratic editorial control. News stories and websites are submitted by users, and then promoted to the front page through a user-based ranking system. As of July 2006, there were over 400,000 registered Digg users. This represented substantial growth from one year earlier, when in July 2005 membership had just reached 17,000. The popularity and success of Digg culminated in Kevin Rose, making it to the cover of Business Week recently. Digg parlays the immense success of Digg to start a podcast series Diggnation podcast featuring Kevin Rose, and Alex Albrecht. For lack of a better analogy, Diggnation resembles a geek-star version of Wayne’s World. The internet podcast show garners a sizable web fan following among the hipper, early-adopter, tech obsessed youth demographic. Well, here is why their audiences digg it so much. The success of Diggnation has now led to the launch of a series of videocasts around a common brand called Rev3. Check out Jeremiah’s post, which gives an in-depth overview of the nitty-gritties of the new web channel. Smart move by the founders of Digg; I must add. If the party is any indicator, then the launch of Rev3 makes a lot of sense. As Daniela rightly pointed out; TV killed the radio and the web may just end up killing TV. Thomas has an awesome take on the future of TV. And when that happens the success of internet based TV shows like the ScobleShow, Diggnation is more than guaranteed. I know. 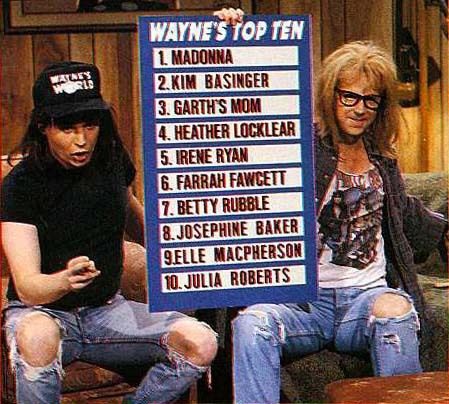 I think Diggnation is totally modelled after Wayne’s world. “Blogging times” thinks they’re sort of like – Beavis & Butthead! Either way, nice format, great success. I can’t friggin’ wait. Any show, on any format. Mobile, PC, Television whatever. It’s gonna be cool, this much I know. These are exciting times indeed. Do you catch the Diggnation Podcast? No, Digg’s in the feedreader, but I’ve never actually been over to the podcast. It’s one of those things I’ve been meaning to do for forever, and just haven’t yet. But, I think I’ll take care of that right now!